Amid a tense political situation and ongoing allegations of torture, a promised inquiry into Sri Lanka’s bloody civil war appears no closer. 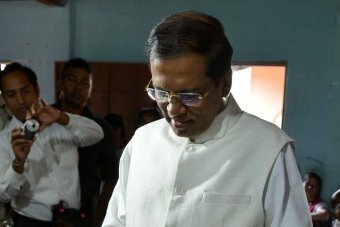 Sri Lanka’s new government had vowed to convene an internationally supervised probe into atrocities, allegedly committed by both government forces and Tamil Tiger rebels during the decades-long conflict, which ended in 2009. However, with a worsening deficit and vocal opposition from nationalists to prosecutions, the coalition government indicated it will not be rushing to set up any inquiry. Meanwhile, rights groups allege the abuses are continuing. Freedom from Torture’s director of policy Sonya Sceats said a culture of torture was “deeply entrenched” in Sri Lanka’s security forces. “It has been for decades and any assumption that a change of government has led to a rollback in torture is frankly naive,” she said. Ms Sceats said her organisation had been referred eight separate allegations of torture since the National Unity Government of Maithripala Sirisena took office last year. “These referrals come to us from the NHS here in Britain, GPs, psychological staff and lawyers who act for asylum seekers,” she said. Other human rights groups have reported similar concerns of ongoing abuses. We’ve expressed our opinion time and again, I’ve done so publicly and privately, in meetings with senior Australian officials, we’ve expressed our deep regret at this policy. United Nations High Commissioner for Human Rights Zeid Ra’ad al Hussein told the ABC an inquiry was imperative, during a visit to Sri Lanka. “Unless you look at your past and distil the right lessons from it, it’s never going to be enough,” he said. Mr Hussein said otherwise the country would run the risk of a “charismatic bigot” again whipping up ethnic division. In light of the ongoing allegations of torture in Sri Lanka, Mr Hussein also renewed his criticism of Australia’s policy of turning back asylum seeker boats. “We’ve expressed our opinion time and again, I’ve done so publicly and privately, in meetings with senior Australian officials, we’ve expressed our deep regret at this policy,” he said. 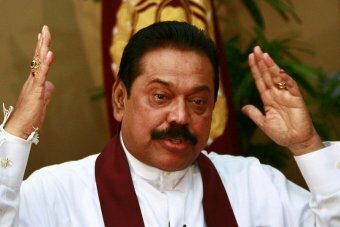 Calls to investigate abuse allegations levelled at both sides were always rejected by former president Mahinda Rajapaksa. Widely regarded as a hero for ending the long civil war, he and supporters have been particularly scathing of calls for foreign involvement, arguing it was aimed at punishing the country’s military. Accusations of persecution and torture of Tamils in the years following the war are also extensive, but Sri Lanka’s military, police and intelligence authorities have always denied allegations of mistreatment. The human rights situation was widely believed to be improving under new President Maithripala Sirisena. Since coming to office last year, he has taken steps to include more minority Tamils in the country’s administration and improve freedom of expression. On Sri Lanka’s independence day this February, he took the symbolic step of having the country’s national anthem sung in both Sinhalese and Tamil. Ms Sceats said problems continued because no-one had yet been brought before a court and perpetrators of torture freely remained in the security forces. “There are people in the military and intelligence services who know nothing but torture as a means of getting information that they believe that they need,” she said. The ABC spoke to two Tamil refugees now living in London, who each bore the scars of torture. Neither wanted to be identified, but both men agreed that people in predominantly Tamil northern and eastern Sri Lanka remained fearful of authorities. Another torture victim, originally from a village in Sri Lanka’s east, said he had signed a false confession to being a Tamil Tiger fighter after members of the security forces burned him repeatedly. “I don’t think there has been change, I don’t think there has been any change under the new government,” he said. When the UN released a report last September accusing both sides of atrocities, and passed a fresh resolution calling for an internationally supervised inquiry, President Sirisena agreed. But since then, under increasing domestic pressure, the leader of the National Unity Government has backed away from the commitment to international involvement. Sri Lanka’s budget deficit is worsening and the country is now seeking a bailout from the IMF, bringing with it the need for unpopular reforms. President Sirisena is also facing renewed opposition from supporters of former president Mr Rajapaksa, whose family has been implicated in corruption allegations. As he works to keep his National Unity coalition together, President Sirisena has sought to placate those who fear an inquiry would tarnish Sri Lanka’s image. “We will… safeguard the dignity of the country, the people, and the soldiers as well as to get international recognition for our military,” he said, addressing Sri Lankans on their independence day. The President also indicated any inquiry is likely to be some time away, saying Sri Lanka would face the UN resolution “with patience and discipline”.